I had the privilege of penning an open letter to Mia Love for Clutch magazine last night. * Councilwoman Love is a Haitian-American Republican who is running for Utah’s fourth congressional House seat. 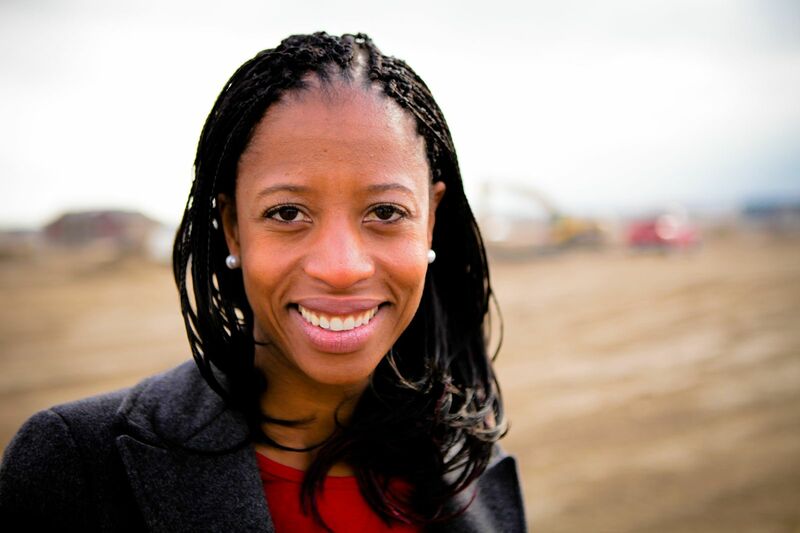 If elected in November, she will be the first Haitian-American woman elected to the House of Representatives in Utah. The letter has been receiving positive and thoughtful reviews on Clutch and I appreciate all of the feedback. But I thought that I should use this space to provide some context to that letter. Even biblical lessons should be analyzed based on what was happening in the world during that time, so I resolutely believe that all controversial opinion pieces deserve that same thoughtfulness. Plus, I don’t want black women readers, who I am dedicated to uplifting, to think that I am attacking Love without provocation. Let me begin with this: I admire all black women who choose to pursue careers in politics. I’ve watched enough episodes of Political Animals (which I LOVE and will be blogging about soon) and Scandal to know that life on Capitol Hill is a grim one. Politicians lead rough lives. So, I regard these women in high esteem. From Shirley Chisholm to Condoleeza Rice, I respect these ladies for remaining unbought and unbossed in the male-dominated political world. All of them are firm in their beliefs and are willing to stand in the line of public fire without fear or hesitation. That is venerable. I commend Mia Love for that. That is causing me to question her integrity and motives. I’m concerned at her unwillingness to use her platform to question the political agendas that are being used to dismantle HER rights as well as those of thousands of fellow Americans. I can understand Mitt “Slickback” Romney and Paul “Shifty Eyes” Ryan not understanding how their comments instigate racism and discomfort. They are privileged white men without wombs. But how can Mia Love, a black woman, not speak to the injustices occurring in the GOP? I don’t know what happens behind councilwoman Love’s closed doors. She very well may be addressing these issues with other politicians while sipping tea and eating crumpets. But I would have much more respect for her agenda if she addressed her discomfort with these policies on a national stage e.g. the one she was just granted. I’m off the soapbox. But please read the full open letter on Clutch’s website. * I’m an avid reader of Clutch, so this was an amazing chance for me to contribute to a publication that I admire and respect. ** You can’t use religion as a justification and then promise constituents that it is all based on the Constitution. The founding fathers required a separation of church of state to guarantee a sovereign nation free of religious persecution. ** Great news, I scored a major gig this afternoon as the Mercedes-Benz Fashion Week contributor for LoveBrownSugar, a blog that I have followed and admired for quite some time. I included LoveBrownSugar’s founder, Christina, in my list of curvy inspirations a while ago. Being able to work beside her and in this capacity is astounding to me. It is proof that what is spoken into the universe is possible if it is backed with lots of hard work, sacrifice and dedication. She has entrusted me to provide coverage of the ins and outs of NYFW and I am determined to do that for her readers. I will also be offering feedback on the experience here, so prepare for a shift from the media analysis to a fashion frenzy next week!